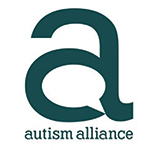 Autistica funds pioneering medical research to understand the causes of autism, improve diagnosis, and develop new treatments and interventions. We are the UK’s only autism medical research charity, and we are committed to funding translatable research which will make a difference to people’s lives. We work closely with the autism community to address those issues that cause the greatest concern to those living with autism day by day.